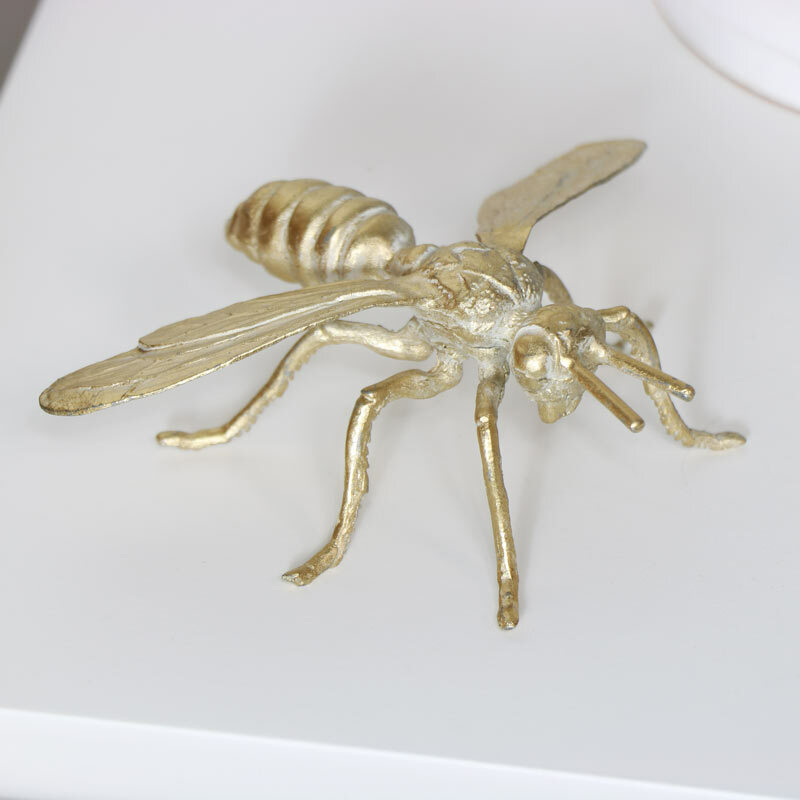 Beautifully detailed and decorative queen bee figurine. Great desktop ornament to add a feel of nature to your home decor. Finished in a gold finish with intricate deailed features. This will add a whimsical charm to any home. A great gift idea for animal lovers, in particular for anyone that loves our honey producing flying friends. 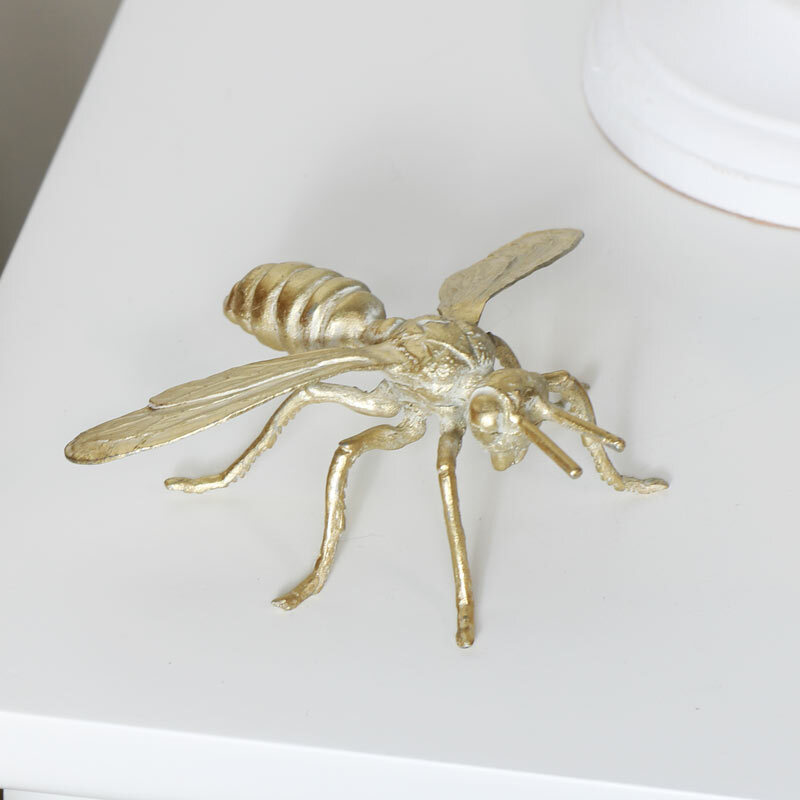 Beautifully detailed and decorative queen bee figurine. Great desktop ornament to add a feel of nature to your home decor. Finished in a gold finish with intricate deailed features. This will add a whimsical charm to any home. A great gift idea for animal lovers, in particular for anyone that loves our honey producing flying friends. Made from metal and painted in gold with mild distressing.